Tina's Crop Shop: September Scrapbook Sunday Blog Hop - The First! Hi Friends! Happy Sunday! I hope you've been having a wonderful weekend! It's Scrapbook Sunday and this month's theme is the First! There are so many firsts you could scrap but I decided to go with my grandson's first birthday! I rarely scrap one picture to a page but this one was so special I thought it could use a page of it's own! Beckett had a Wild One! 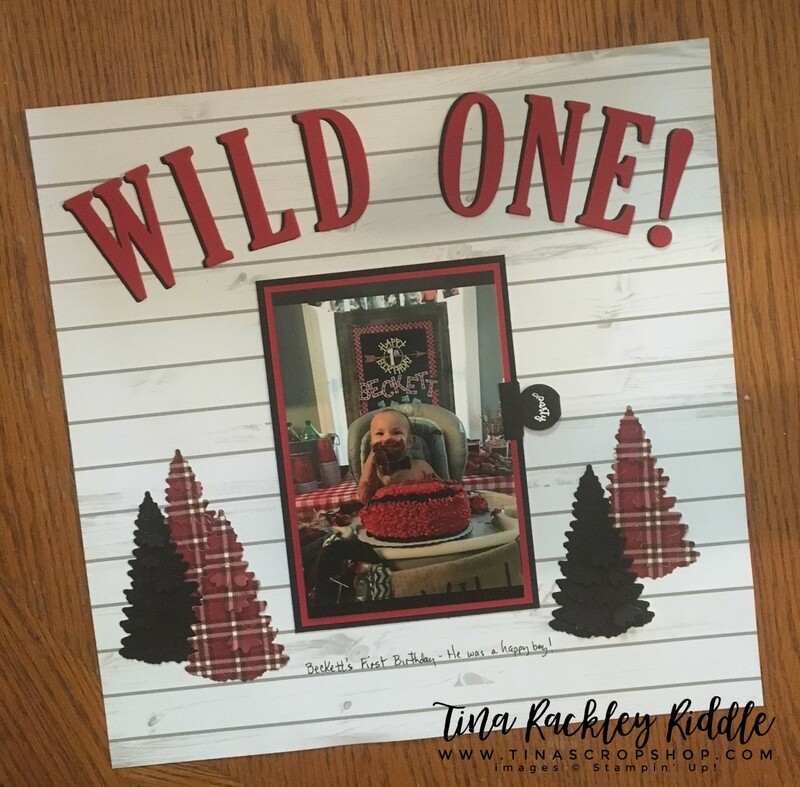 Lumberjack theme birthday party and I felt like the awesome new Festive Farmhouse DSP was perfect for this theme! I LOVE the Shiplap paper... can you tell? I used an entire sheet on one page.. another thing I rarely do. I also used the In The Woods Framelits Dies to cut out the trees in Basic Black Cardstock as well as more of the Festive Farmhouse DSP ... this time in the plaid. 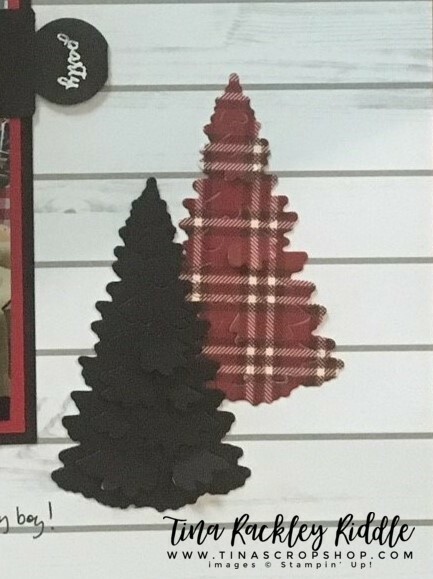 I love that the trees have little cut out pieces that add more dimension! I added a black circle tab punch to the side of the double mounted picture with "party" from the Tabs For Everything Stamp Set, heat embossed on the punch in white. Can I just say again how much I adore this DSP??? I'm going to order a couple of extras pack of it before they sell out!